Following its prefix, custom phone numbers will either spell a word, phrase, or have a repeating number frequency. If you are looking to lease a custom phone number for your business, it is easy to do so by choosing a vanity number provider (like CallSource) to aid in your custom phone number needs. How can you get a custom phone number? All you have to do is follow the simple steps below to acquire your vanity phone number as soon as possible. First, you will need to brainstorm and decide on a few number options that you want. Do you want a specific word or phrase? Do you have a few word options? Or would you rather have a repeater number? Decide what you will be searching for beforehand so that you do not get overwhelmed when it comes time to choose your number. Having a hard time deciding on your perfect vanity phone number? Check out some hot numbers that are available for lease right now. What kind of coverage will you need for your vanity number? You want potential customers to be able to reach you from this number. Are you a local business with mostly local customers? If so, statewide coverage may be fine for you to have a more local vanity phone number. Perhaps your business is in a tri-state area, and although most customers are still fairly local, you may want to get combined coverage for all of the surrounding states. Multi-state coverage is an option for you. Lastly, you may want to get nationwide coverage for your custom phone number. Nationwide covers secures that no one else can have the same vanity number as you. Nationwide coverage is also a preferable option for businesses with multiple locations across the country or business located in areas that have many transplants. Coverage is based off of a phone number’s area code – so if many people who live in your area have moved from their home-state and kept their original phone number, your vanity number wouldn’t be accessible to them if you had only state coverage and they have an out-of-state phone number. This is important to keep in mind when choosing the coverage option that you need for your custom vanity phone number. 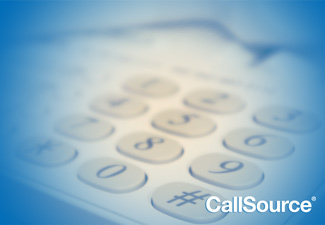 CallSource leases vanity numbers for Canadian business as well, so make sure to note this when searching for phone number availability in your area. CallSource’s vanity search tool is easy to use. 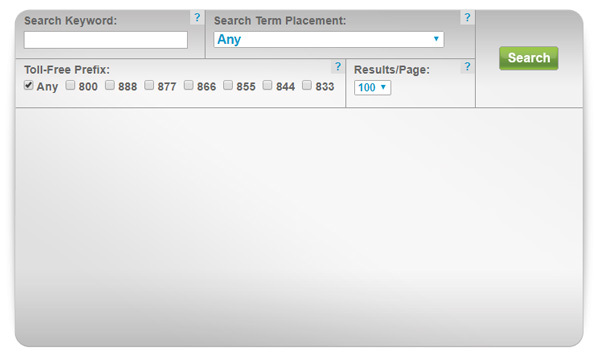 Simply search for the keywords that you choose along with any other filters you may want to apply. Do you care about the placement of the word, such as if numbers may come before or after the keyword? Do you have a specific prefix preference? Once you search for some numbers you are interested in, you can view their coverage availability. Make your own custom list to request a quote on the number(s) you are interested in. It’s as simple as that! Speak to a representative to get more details regarding pricing and availability. Some numbers may be available only in specific states or areas, while others are available nationwide. Determine which is best for your business and then move forward in achieving the perfect vanity number that you need. Once you have acquired a personalized phone number, you want to make sure to publish it in order to start receiving calls! Vanity numbers work great for branding purposes and for ads that can benefit from easy-to-remember numbers or phrases. Some perfect options for campaigns to use your new custom vanity phone number in are for a radio ad, or in television or a podcast. Wherever you choose to use your vanity phone number, make sure that you use it for its best ROI opportunity, and to track your calls with call tracking, which is included on all CallSource vanity numbers. Now that you know how easy it is, it is time to acquire a vanity number for your business. Click here to have someone reach out to you, or contact a representative today at 855-GOT-VANITY to learn more. I want to talk to someone available vanity numbers for my business. We’d be happy to help you learn more about getting a vanity number, Jeremy! I’ve passed along your information; one of our specialists will be reaching out to you soon.